The 2018 season is well underway! 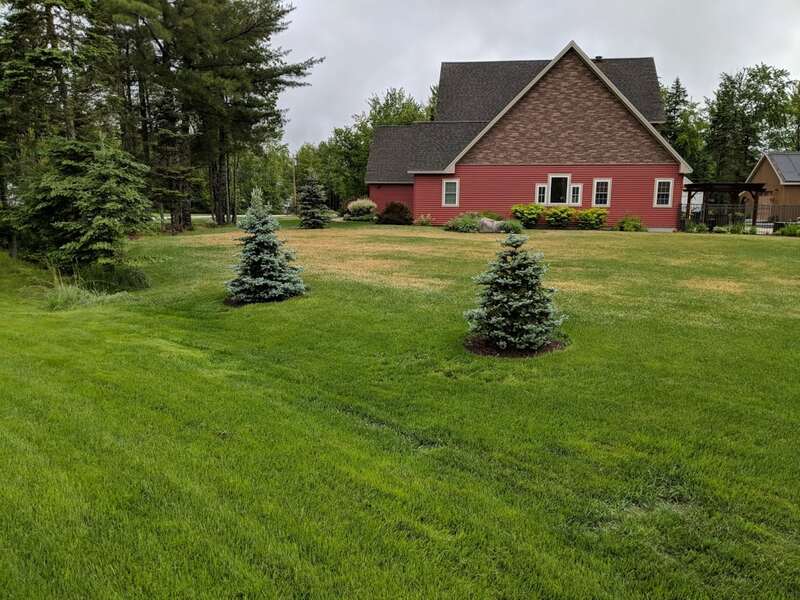 As we finish up our first round of services, it’s humbling to know that our over 30 years of our company being in business we have satisfied customers that are with us year after year. We all thank you for your continued support. We are here if you have any questions! 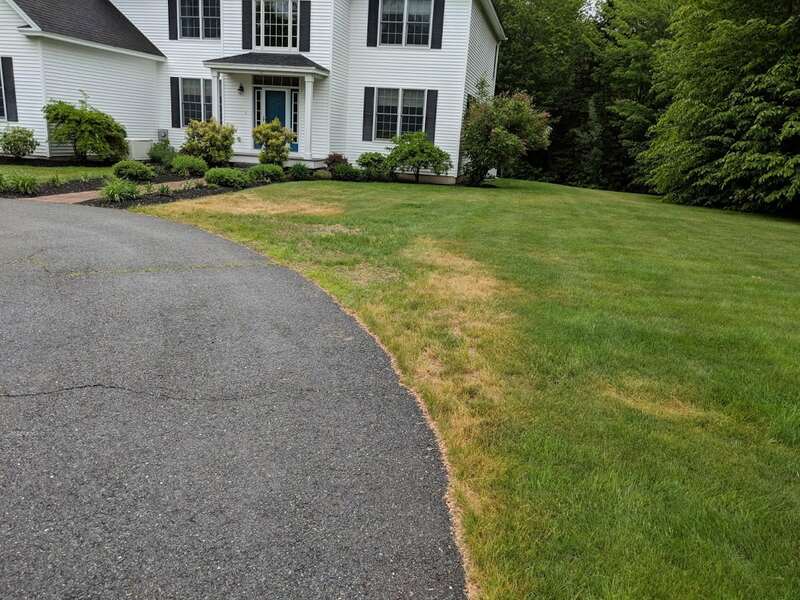 After visiting many properties this spring new and old there are a few things that are sticking out this year that are a little more prominent than others. 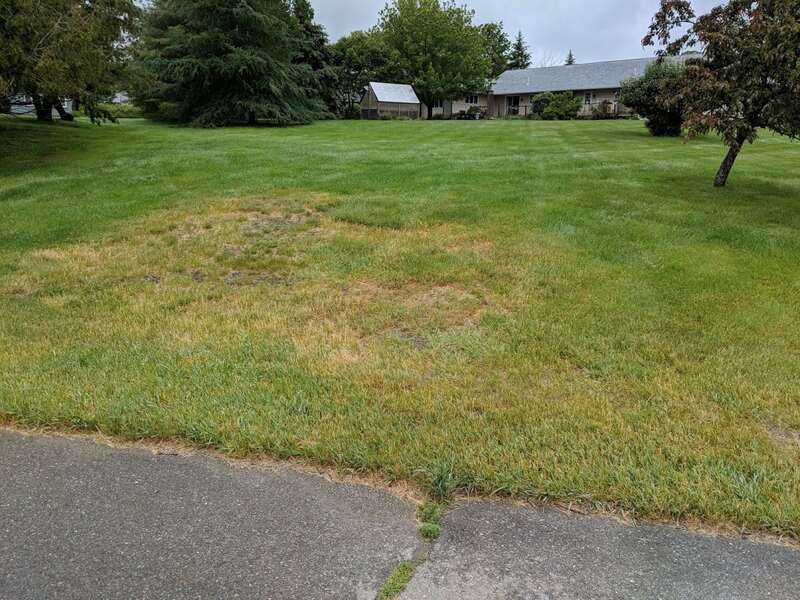 Recently we have received several calls from customers regarding brown spots that have appeared on their lawn over the last week or two. Some of the communication is a day or two after we left the property, and many are weeks after we visited last. When dealing with Mother Nature it’s important to look at the big picture. I can assure you that when we receive a call relating to a decreased appearance and change in overall health we take it very seriously! 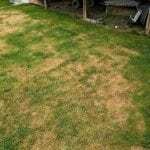 First off when you experience any issues with your lawn we want you to know that we are here to help! Proper diagnosis is the first step and the most crucial. 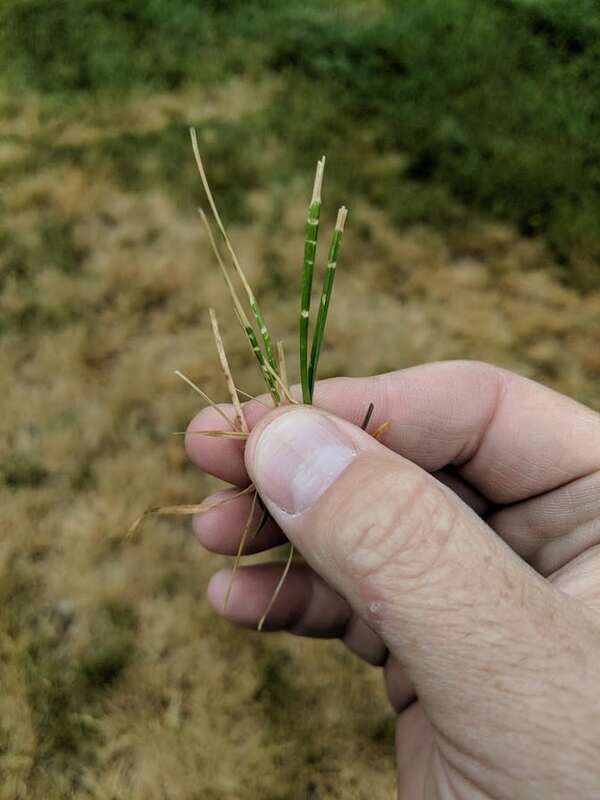 Creeping bentgrass is the same grass variety that grows on golf course greens. 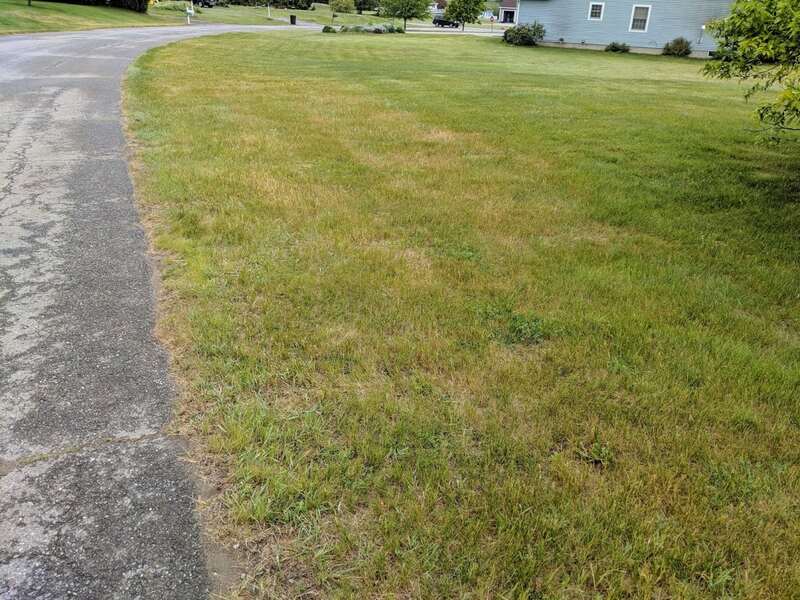 Sometimes this grass makes its way into our residential lawns. 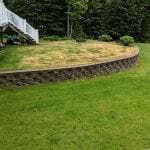 Not all homeowners are aware of this grass or even care about it. However, this spring (being that it has been even later than last year) seems to have triggered more phone calls about this issue. 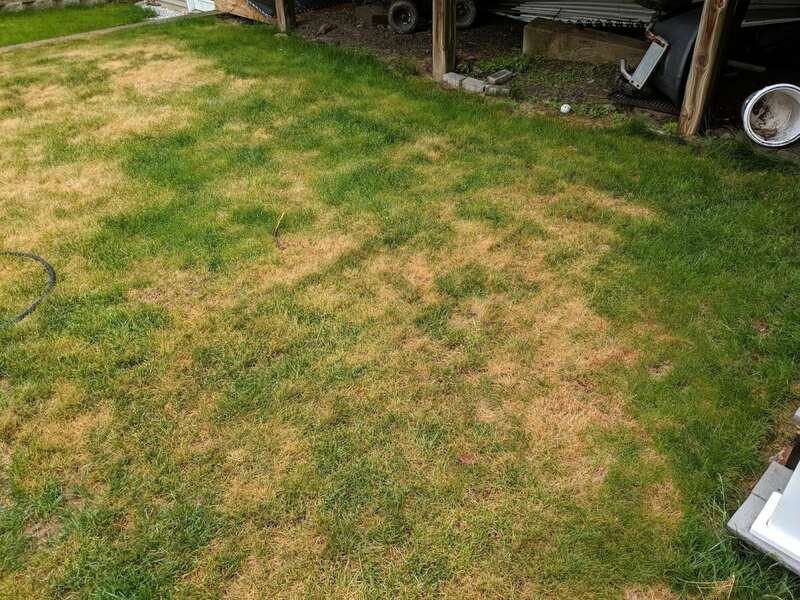 The common complaint is that “I have brown spots that aren’t greening up”. 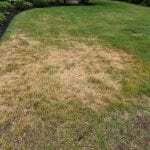 Given the fact that there are many reasons lawns may have brown spots makes that a loaded question from the get-go. 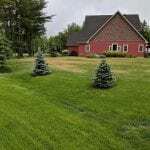 Creeping bentgrass is designed to be mown short, very short! In fact, it’s ideal cut height is about 1/4″ or less! 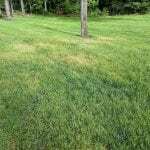 Our cool season desireable grasses such as Kentucky bluegrass, Ryegrass, and fescues of sorts are ideally mown around 2.5″ – 4″ in height for optimal health. 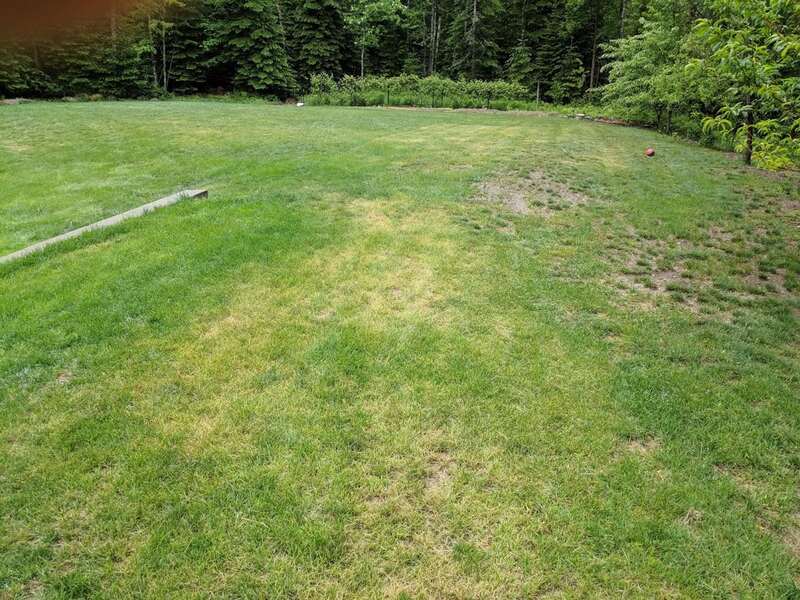 When you get creeping bentgrass in a lawn it tends to give a shaggy appearance and tends to fill in areas that may be less dense with our desirable grasses. 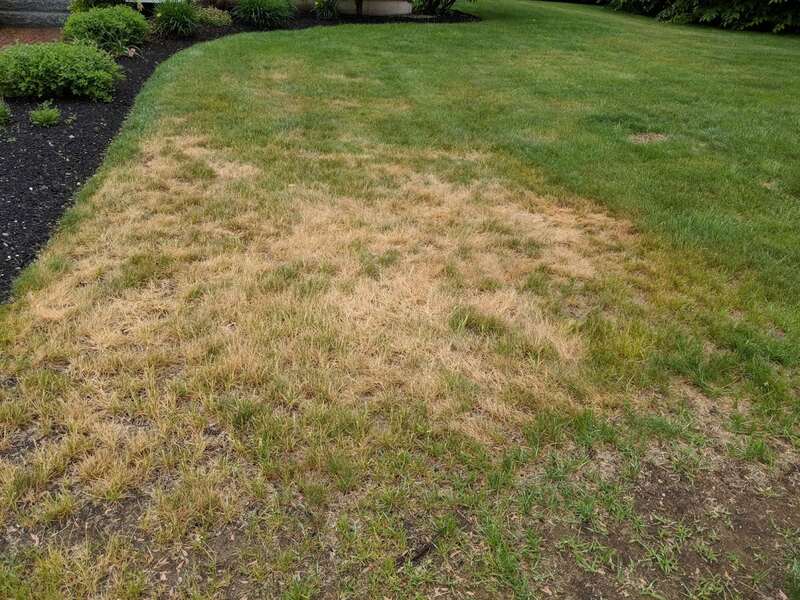 Another issue with Creeping bentgrass is that it’s very susceptible to fungus. 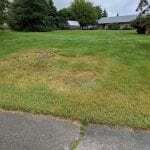 Specifically Snow Mold. 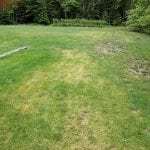 Many lawns that have bentgrass were affected by snow mold and may or may not recover. 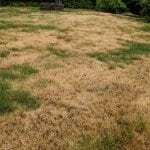 We suggest vigorously raking these areas to remove the dead thatch and loosening the top 1/2″ – 1″ of soil and apply grass seed. After seeding step on the seed to force it into the soil. Then water lightly each day a couple of times to keep the surface where the seed is moist. 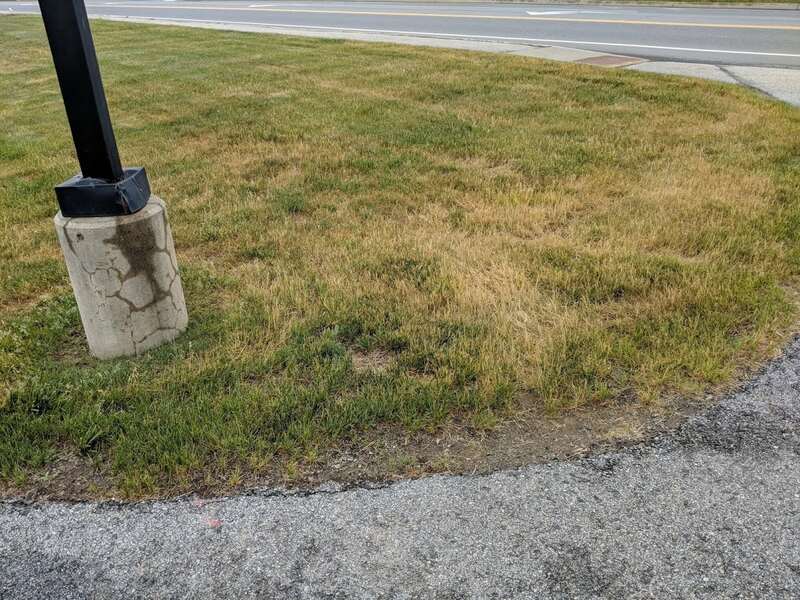 This will help germinate more desirable grasses in these areas and “out-compete” the bentgrass. There are some control options available but should be discussed as timing is key. 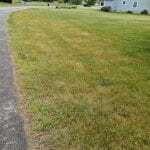 Many of the lawns that we have looked at just haven’t had enough time to “wake up”. 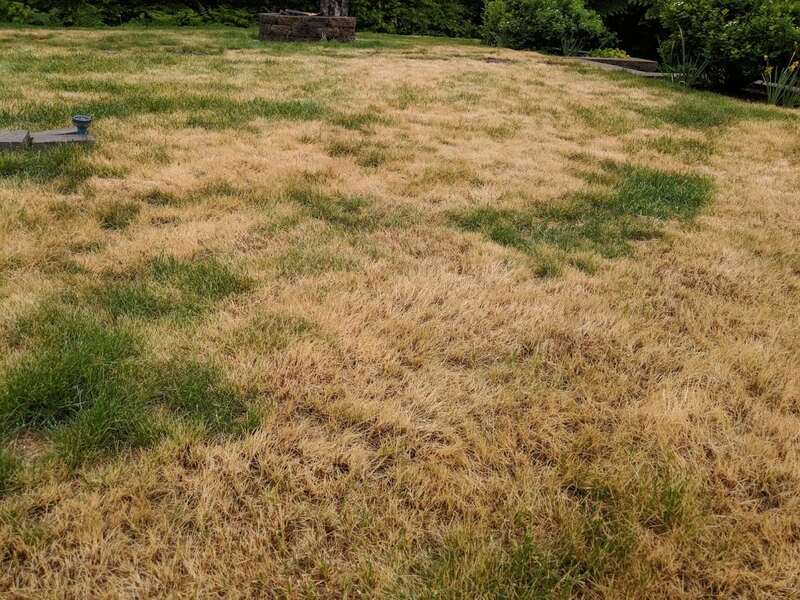 Creeping bentgrass usually is the last grass to green up in the spring and the first to brown out in the summer when the heat becomes in issue. 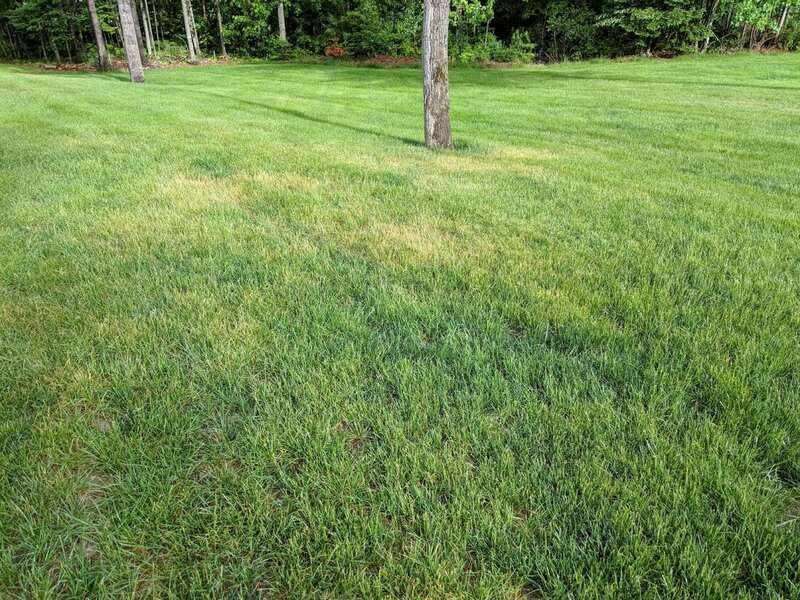 With heat comes fungus and Creeping bentgrass is usually one of the first to experience fungal attacks. 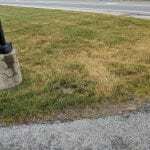 Here is a photo of what creeping bentgrass is looking like right now in our area. Ticks seem to be the largest request this year for pest management. This year is our first year devoting a technician solely to performing these services. 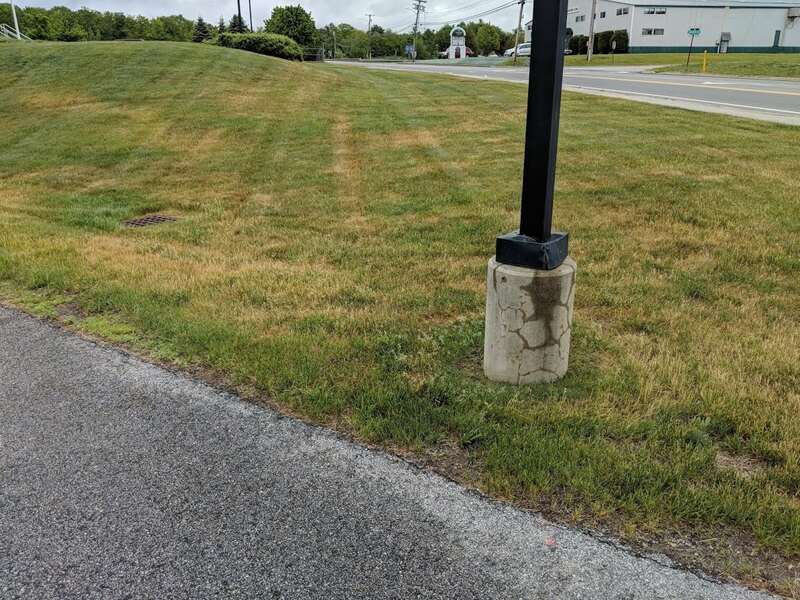 We have provided landscape pest management services for over 15 years and with the uptick (no pun intended) in calls over the last few years, it’s becoming a larger issue that people are becoming aware of. 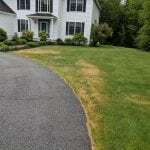 Lyme disease, anaplasmosis, powassan and other diseases these pests carry. 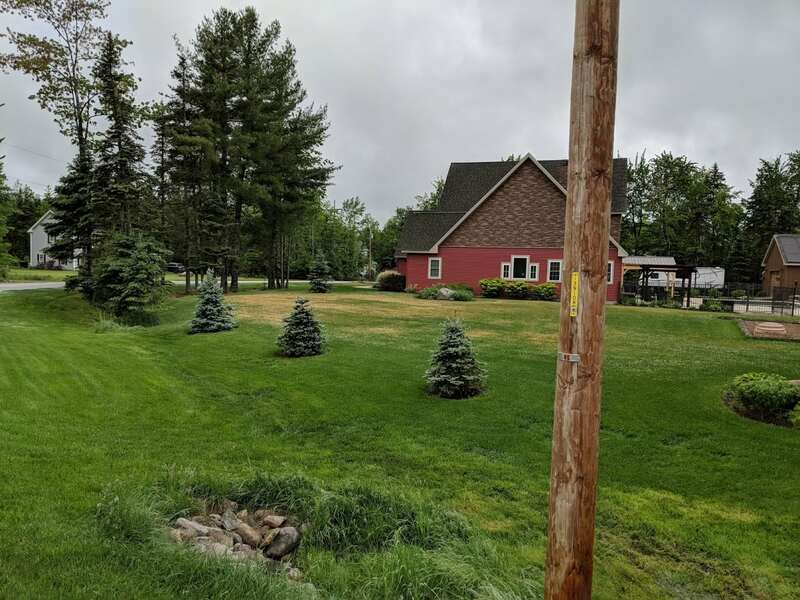 I can tell you I have personally had over 50 discussions this year with homeowners, business owners and concerned parents regarding these pests. It seems that everyone has a story to tell of how someone has been infected with Lyme or a family member. 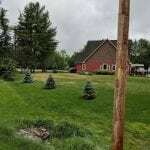 It is a serious concern and I can personally tell you my nephew had been bitten by a tick a few years ago and contracted Lyme. He lives in a town in Bangor! He was taken to the hospital immediately after having a spiked fever and delirium. Ticks have been spreading and are overwintering extremely well. A female tick can lay up to 3000 eggs! Knowing that you can see how quickly the populations can expand. We visited Kansas City this winter to attend a conference to learn more about ticks and mosquitoes, diseases they carry and methods for management in home landscapes. It was an eye-opening experience, to say the least. We will be posting more articles on ticks in the near future to help spread knowledge in protecting your loved ones while being in the outdoors. Until then, wear light-colored clothing, try to pull your socks over your pants if working in the yard or taller vegetation. Ticks will “quest” in vegetation up to 4′ – 5′ in height. Edges of fields and trails through the woods are prime areas where ticks will wait for a passerby. 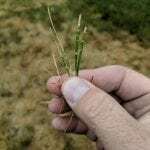 Brushing against branches or vegetation is the prime method of getting a tick on you. They prey on deer, rodents, and other smaller animals and feed on blood. If gone unnoticed they can transmit disease within 36 – 48 hours. Please check yourself after returning inside from the outdoors. I remember running around outside as a child and never had to worry about ticks! Please be aware. We’ve added more employees to our team this year and are adding more soon! 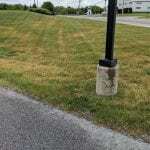 There is a high demand for outdoor services to beautify and protect landscapes. We are keenly aware of this and have made changes in how we operate this year. If you received our prepay letter this year you’ll have noticed some of the changes we are making to improve the level of quality and communication to you. We now have a technician devoted to the northern areas we serve to increase the speed in which you receive our services. Again, rest assured you will be serviced on time. If you have any questions please don’t hesitate to contact us. This is just another way we can keep in touch with you and we hope you find these touchpoints valuable and informative. That’s it for now. We’ll have more updates coming soon. 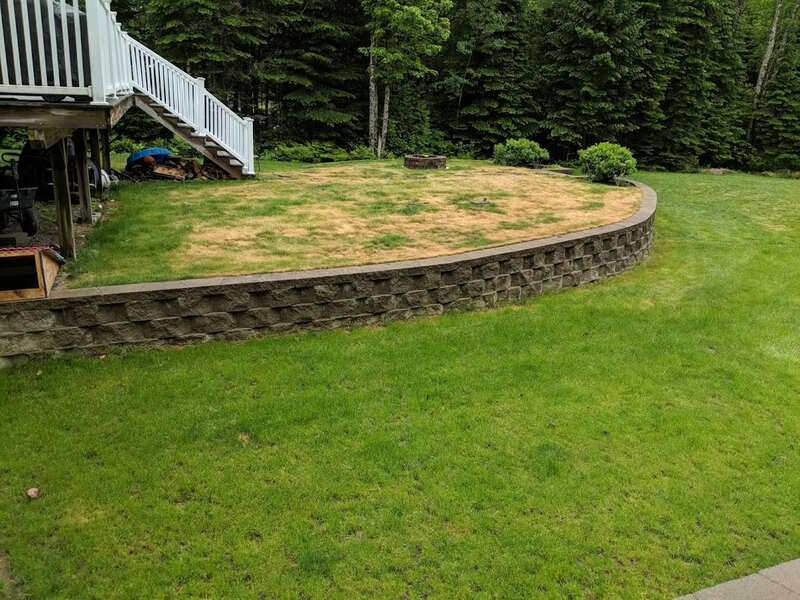 Since we had a late start this year everyone is a little behind schedule along with every other landscaper and green industry professionals in our area. Thanks for the update on conditions.